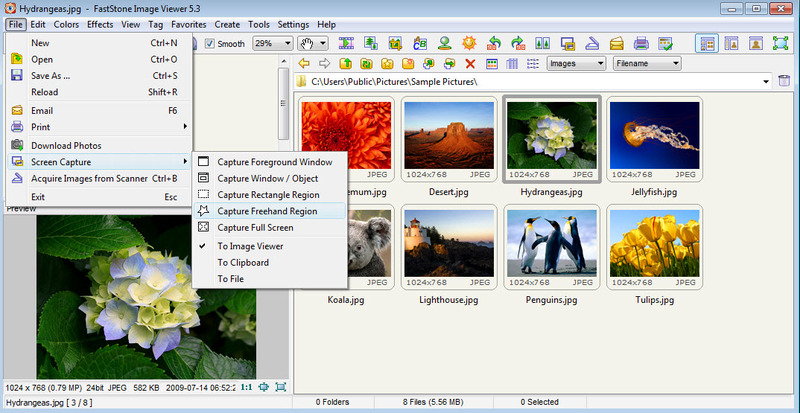 FastStone Image Viewer is a small, simple, but full featured program which is able to display your photos and edit them. As viewer, you can view images in full size or as thumbnails, view them in slideshow (autoplay) and add background music from your hard drive, shuffle images or filter them by date, name etc. You can capture image from your desktop (custom region, full screen ..) and save it or send it into program's interface for further editing. You can rotate, resize, crop and even remove red-eyes effect from a photo. 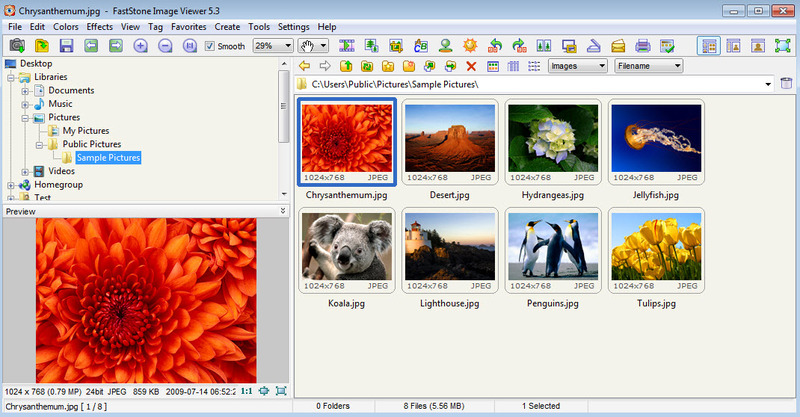 You can adjust colors, add watermark, tag images or even create slideshows as .exe files. 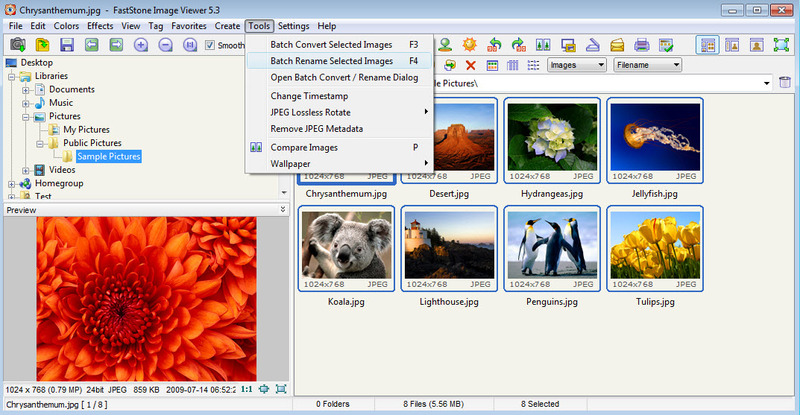 The program allows to batch convert and rename many photos with a few clicks. You can change the look of the interface by choosing a different skin. Conclusion: The program includes all possible features that you may require from a photo viewer and manipulation program. Despite the large number of features, it is very easy to use. 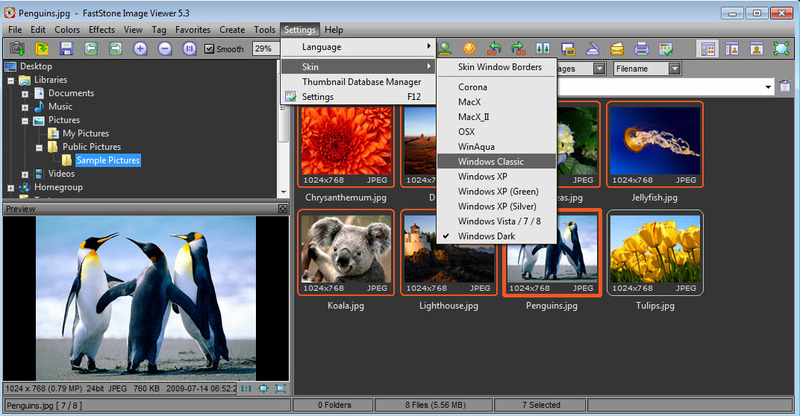 FastStone Image Viewer is available as free download for Windows 32-bit and 64-bit. FastStone Image Viewer is 100% clean and safe to install. You can see the test results here.